Christmas is just around the corner. It has started feeling so festive. Invitations for different parties started pouring in. The month of December is extra special to me as My little Prince’s birthday comes just a few days before Christmas. The month is full of planning and executing the plans. My hands are full right now with a lengthy to-do list. Planning for the outfits for different parties is one of them. 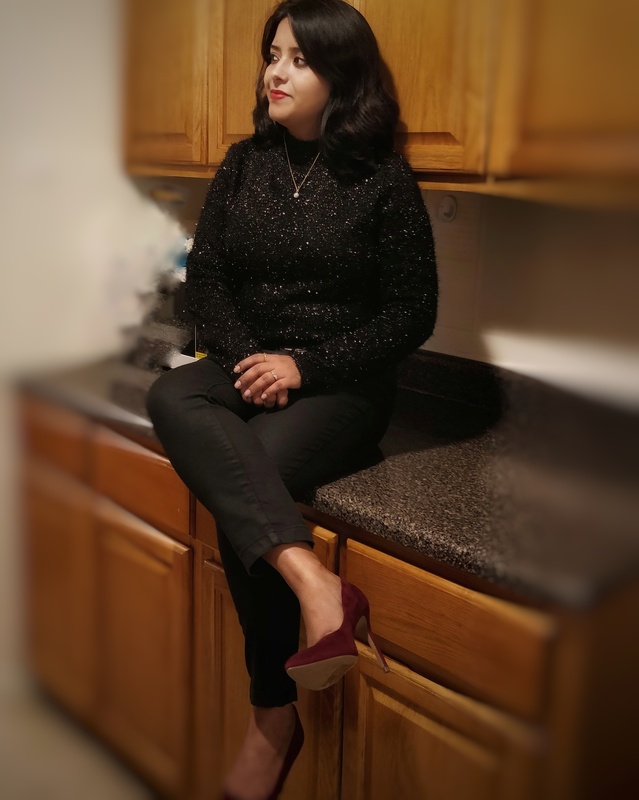 So in my next few posts, I am going to share a series of different Christmas party and holiday outfit ideas for the upcoming social gathering. For me, the style has to be modern yet classic, simple yet gorgeous. The first outfit for this series is more about subtle shine. A sweater and a pair of pants can be the most comfortable thing in the world to wear. But does it sound too boring for a party? Then why not choose a sweater with some glitter. Black is a perfect choice for any party. So I have chosen a black glittery sweater for this party look. 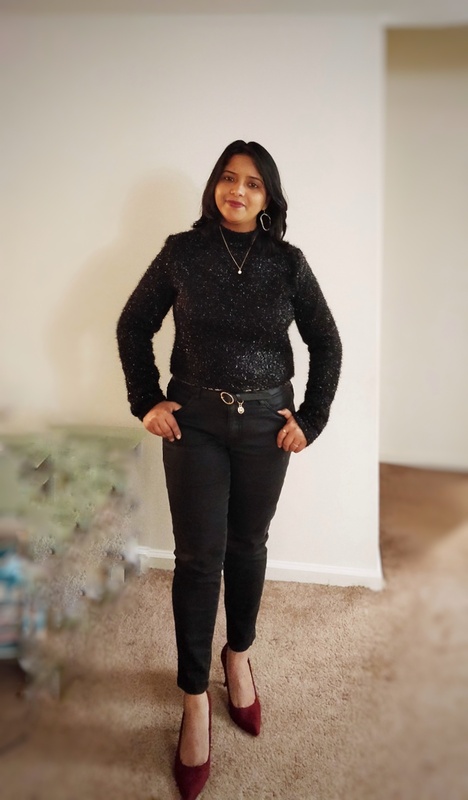 To give it an all-black look I have paired it with black pant. I truly believe that accessories have the power to make or break any outfit. 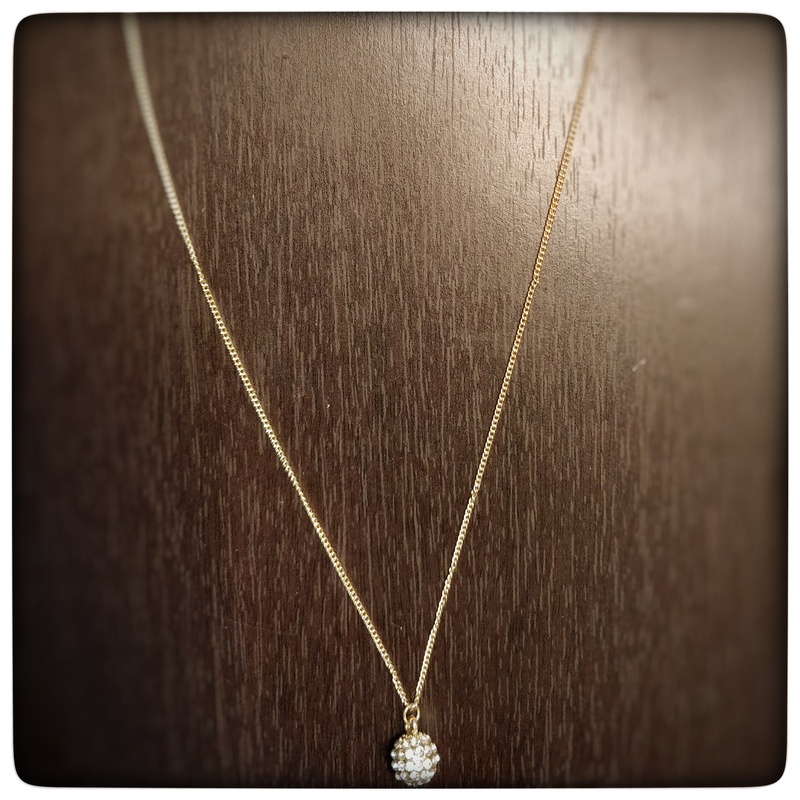 As this outfit is all about sophistication, I have paired it with a dainty pendant and a glittery dangling earring. 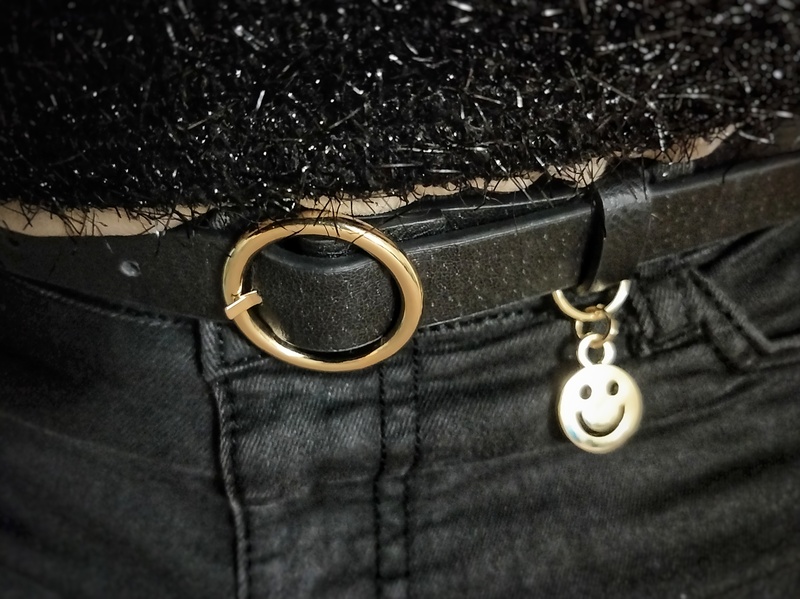 To finish the whole look added this trendy ring buckle belt with a cute little smiley attached to it. High heels are every women’s best friend. 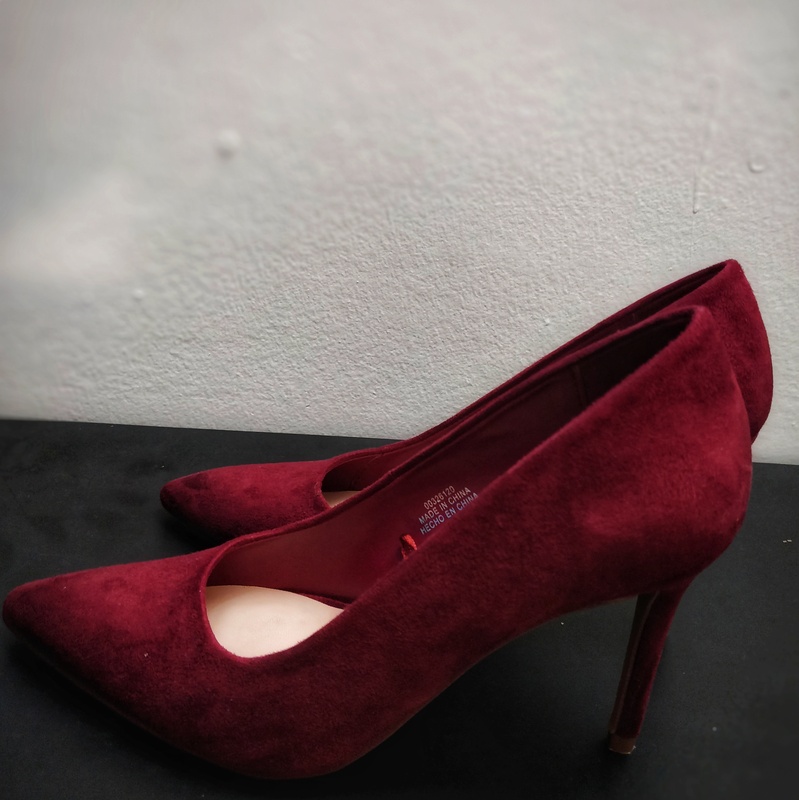 As the whole outfit is black I deliberately added some colour to it by pairing it with these burgundy colour pumps. So that’s all about my first outfit in party series. Do let me know whether you liked it or not in the comment section. And don’t forget to subscribe to get an update on my next post as and when I publish it. Wow…. Awesome looks.. Nice outfits…. Overall loved it..
Wow….your outfit is awesome and i loved your pumps…. Stunning look.I like all accessories. Such cute outfit ideas! Love it!